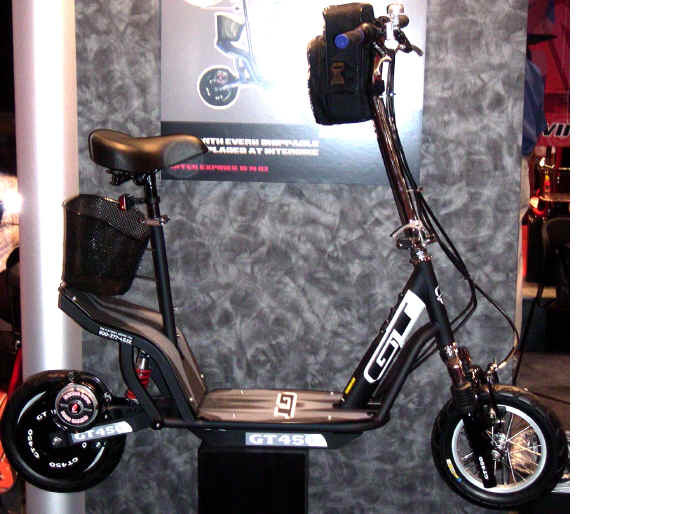 The GT 450 full suspension electric scooter is an all around fun vehicle. Front fork suspension and an oversized head tube with power switch and charging port located above the deck for easier access. Top-end speed is approx 15 MPH with an average 8-10 mile range . The high torque motor will provide outstanding climbing capability. . . New and improved with the rear band brake.